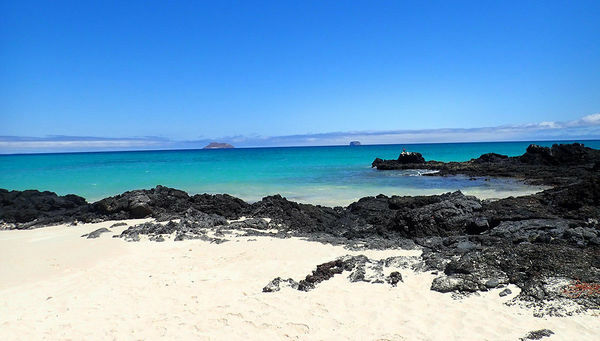 Two Department of Chemistry and Biochemistry faculty members are inviting students to compete and apply for a trip to the Galápagos Islands. Six students will be chosen to trace the steps that Charles Darwin took on his path to discovery. The week-long trip takes place August 3-9 and is open to Notre Dame undergraduates (rising juniors or rising seniors) in any field of study. Applications for this competitive trip are due February 1, 2019. Funded by Notre Dame International’s Insider Project, along with the Nanovic Institute for European Studies and the office of the Dean of College and Science, Professors Mayland Chang and Shahriar Mobashery are hoping to receive applications from students who are interested in learning and exploring the unique features of the archipelago and its influence on evolutionary and ecological theory. Mobashery says this trip may not be for everyone, but rather for the students who are curious and exhibit a keen sense of wonder. All eligible students must write a 500-word essay on why she/he should be selected. Students are encouraged to focus on why this trip might be formative for them or might have an impact on their lives and careers. Once applications have been received, several students will be selected for an in-person interview. Decisions will be finalized by February 28, 2019. The cost to the student will be $300. The remainder of the expenses will be supported by the grant sponsors. The deadline is February 1, 2019. Click here to apply. Originally published by Colleen Wilcox at international.nd.edu on January 18, 2019.